I hope you enjoyed Thanksgiving with your family. It is one of my favorite holidays, as it is dedicated to nothing else but eating. Though I am a capitalist at heart, I am saddened by the rush to capitalize on the holidays. Poor Thanksgiving has lost it’s shelf space and store displays to Christmas. Thanksgiving was a solid holiday with very few businesses open. Now retailers are tripping over each other to start Black Friday early. My buddy Mark called me at six o’clock Thanksgiving night from Wal-Mart. He decided to subject himself to retail torture to save a few bucks on a TV set. I’ll gladly pay a few bucks more to avoid the feeding frenzy. It may be unrealistic, but I’d love to live in a place that totally shuts everything down on Sunday. Is there a restaurant that outlaws cell phones, and parents are forbidden from using iPhones and iPads as babysitters while dining? I’ve started dating a lady with younger children connected to all of these devices. I keep them engaged with a game of 20 Questions. My In Box is inundated with one retail offer after another, but I’m noticing more from restaurants. One local independent sent me a Cyber Monday email offering a 20% bonus for any gift cards purchased. That’s a very smart way to piggyback off the Cyber Monday hoopla. I remember the Friday before Christmas was one of the biggest drop-off catering sales days of the year. Many companies want to treat their employees to a holiday meal before Christmas. As a lot of people take off the week of Christmas, Friday, December 20th has the potential to be a big catering day for you this year. Have you pushed and promoted holiday catering? If not, you need to get busy now! Hopefully you have different lists to target; your catering client list, your catering prospect list and your dining room database. Due to time constraints, you may only have time to shoot out some last emails. If you have fax numbers, look into broadcast faxing. My girlfriend manages a high end boutique. She and her team routinely use outreach as a marketing tool. They will put together a list of their best clients and call them to promote a big event or drum up sales. Make a list of your best catering clients, inactive clients and clients who booked events last year. Divide the list up for you and your managers to call. If your calendar is light, you may offer special incentives for booking with you. Maybe offer a stronger incentive to book on slow days. This strategy can also be used for booking your party room. Let your dining room customers know you offer complete catering packages or individual food items in bulk to bring to a party. Which one of your catering clients would want you to deliver a catered meal to their best clients? Offer a special incentive if fulfilled in January, a traditionally slow catering month. There are a million ways to slice and dice catering marketing. You can create a different bucket for each group and create a special catering marketing message to each one. I would hate for you to wake up the day after Christmas with nothing but “Catering Coal” in your sales stocking. We all want to believe in Santa Claus, but know the gifts are really bought by the grown ups! Learn to be your own Catering Sales Santa! 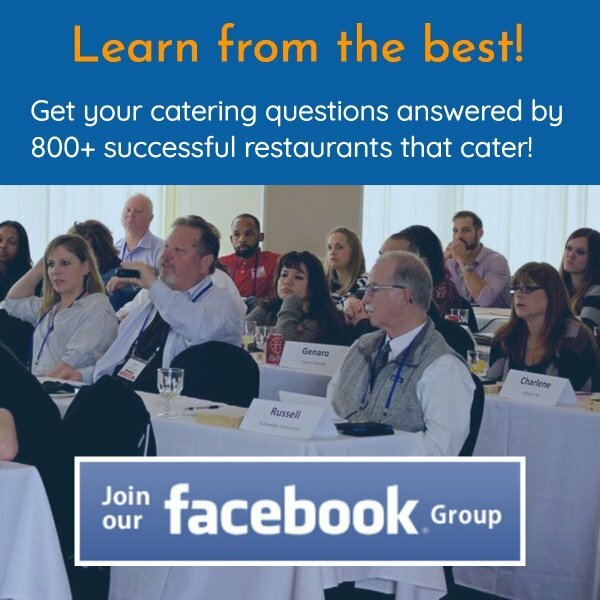 Please share any last minute catering sales promotions or stories that work for you. For those of you who are in constant search of the silver catering bullet or the “one” thing to build catering sales, think again. Catering sales success is the sum of all the little things done consistently combined to form a catering profit center. If you don’t believe me, just ask the University of Alabama head coach, Nick Saban. Two back to back national championships meant nothing in their game with rival Auburn this past Saturday night. There were at least four “little things” that done correctly, would have meant a win for Alabama. 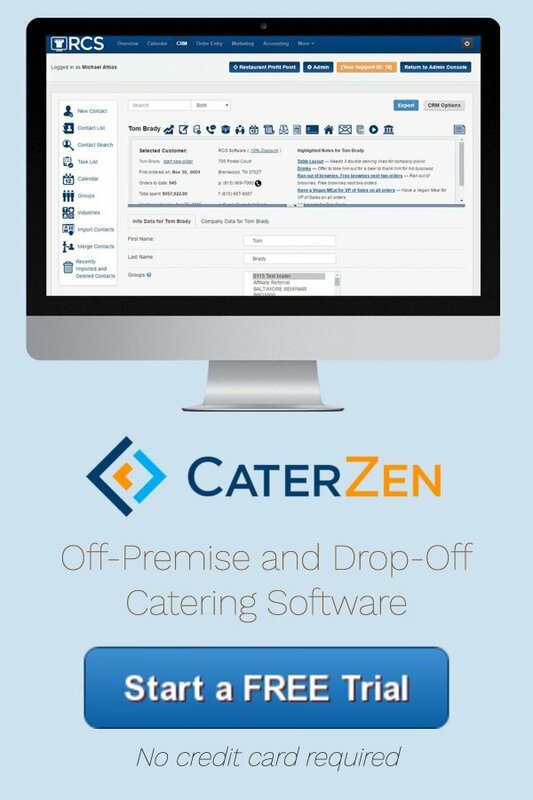 Never underestimate the importance of all the little things at your disposable with the catering software and systems provided by Restaurant Catering Systems. My son Jerrod comes from a long line of Alabama Alums and is a huge fan. I know he’s in mourning today, but has made zero excuses for their loss. At least he’s learned something from me.